Armani Eau d'Arômes was launched in February 2014. The fragrance has citrus top notes (mandarin, bergamot), followed by spices (ginger, chill, cardamom) over a base of vetiver, patchouli and ambergris. The fragrance is a follow up to 1984's Armani Eau pour Homme, and more recently – 2013's Armani Eau de Nuit. There are 10 reviews of Armani Eau d'Arômes. Smells fine but is totally generic; it's yet another citrus and musk scent that's been done a hundred times in the past decade. Tried a sample of Armani Eau d'Arômes, after enjoying the Armani Eau de Nuit flanker. Well...it definitely offers the wearer citrus elements (bergamot and mandarin orange), paired up with interesting "hot" spicy elements like ginger, chili pepper, and cardamom. Sage adds a nice additional "tamer" spicy note. The vetiver is toned down a bit by the patchouli, yet another bright note in this fragrance. The idea seems to be of a warmer weather scent, along the lines of, say, Chrome Pure. I'm not too keen on the way Eau d'Arômes ends up with a fruity-spicy character warmed by vetiver that seems to fade pretty quickly. The patchouli still lingers, but it's as if the main players of this scent were playing music on a moving flatbed truck and passed you by into absentia. I sense the dna of the other Armani Eau fragrances here, though that fact can't altogether rescue this fleeting scent. Not a bad idea totally, just not my thing. This is a nice spring and summer fragrance that may lend itself to the fall as well. Nothing offensive to the nose and does start with a solid citrus mix with vetiver and ginger in the drydown. I do get a slight patchouli wave here and there in the dry down as well. Overall I do like it... Not sure that I love it... For the price it's ok to blind buy if you are in need of a warm weather scent. Otherwise TRY BEFORE YOU BUY. Enjoy! I really like it...if you can sample this def do it. I had been travelling for about 12 hours and I got to test this at duty free...it stuck well with me for the rest of the journey. I will be buying this. Wow! Eau D'Aromes is a blast of delicious citrus. At first spray I smell the citrus (mandarin orange, bergamot) mixed with the ginger. Dries down to a very nice sweet vetiver, patchouli. I still detect the citrus in the dry down. Perfect for the hot summer months and nights. I love it! 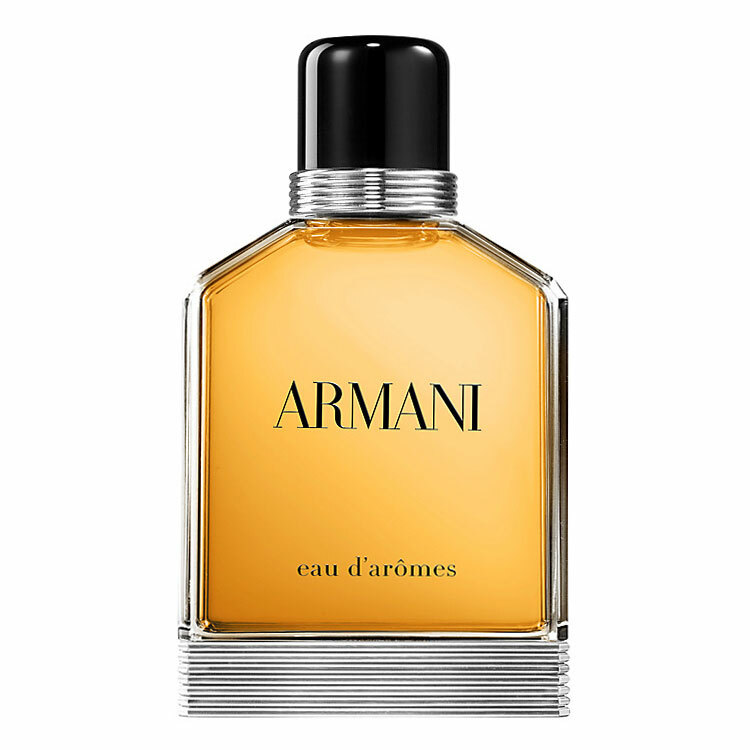 Armani By Giorgio Armani Eau D'Aromes Pour Homme EDT Natural Spray 100ml/3.4oz. There are no member images of Armani Eau d'Arômes yet. Why not be the first?